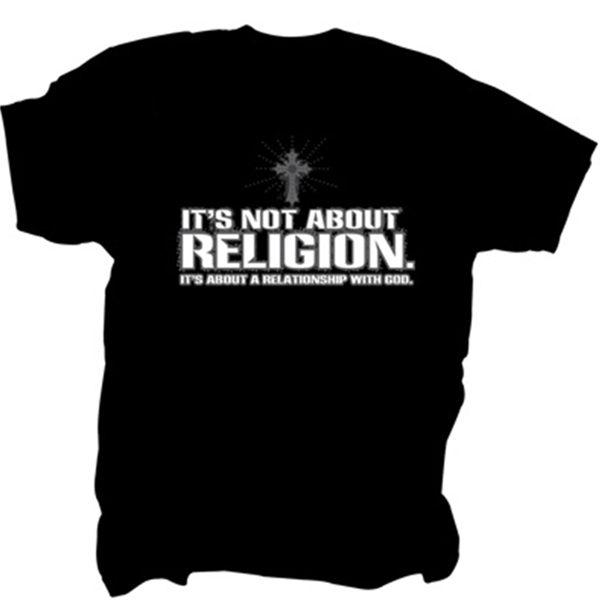 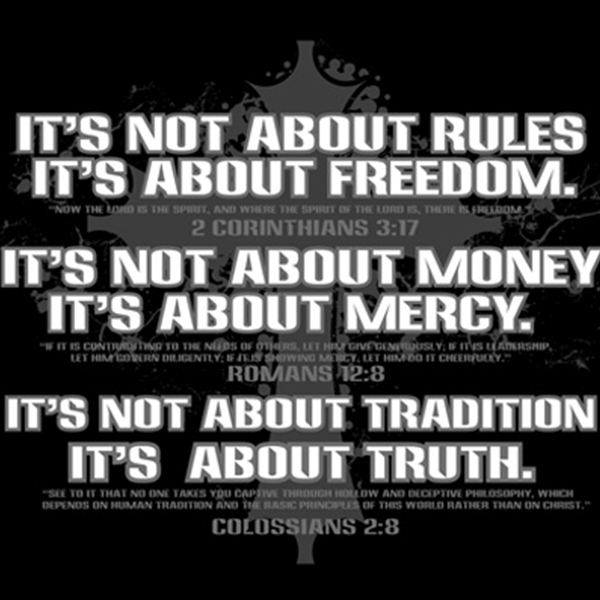 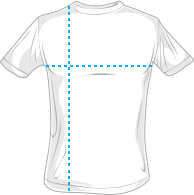 This Christian t-shirt is black with a cross on the front and reads "It's not about religion. 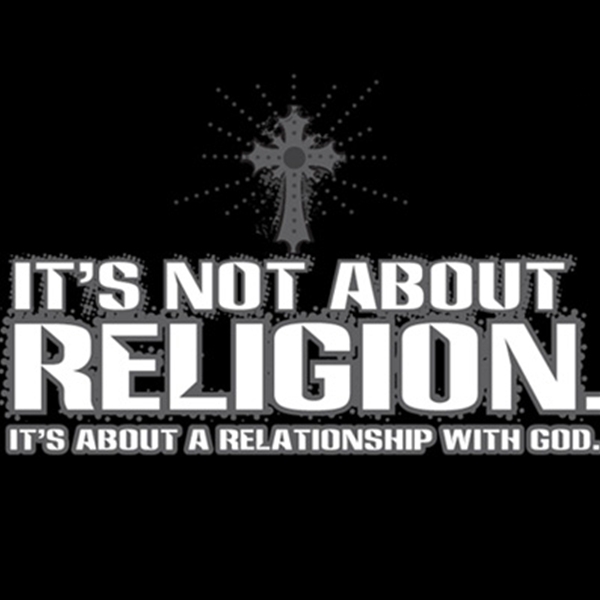 It's about a relationship with God." 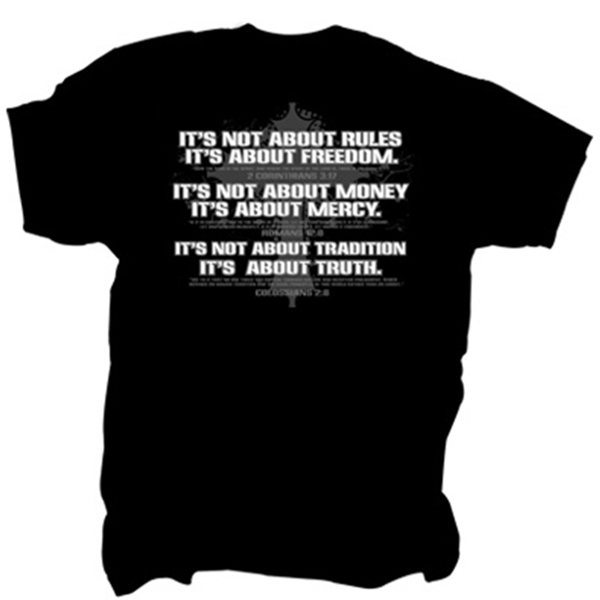 The back of this t-shirt make references to different bible verses.